On my way back from Louisiana this past weekend I was flipping through my iPod to find some stuff to listen to. I had recently added a ton of albums to it and had gone though most of the new additions on my way there (7.5 hours). 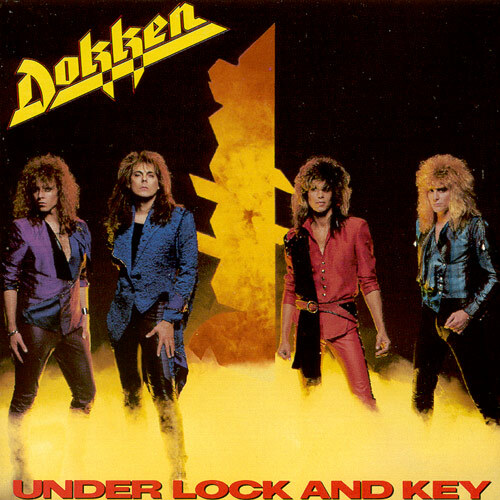 As I was scrolling through I saw the Dokken. Woot! Haven’t listened to them in a while. I first spun Under Lock and Key then Back for the Attack. If you’ve been paying attention, you know how much I love Tooth and Nail. The album is perfect in my eyes/ears. But I was truly blown away by these 2 albums. Even though the songs got a little more radio friendly, Lynch’s playing on them was over the top in the best of ways. George had a reputation in L.A. long before Dokken became a household name. In talking to people from that early 80s Hollywood scene, they’ve all said the same thing…George was better than everyone around there. Listening to his solos on these 2 albums I really can hear it. 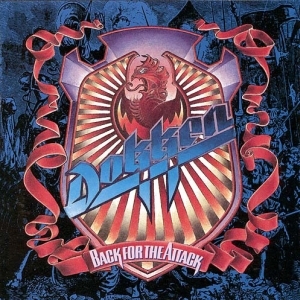 It’s not too often that I get over excited about music these days, but hearing this stuff, remembering the hits (some of which we attempted to play in bands back then) and listening to the deeper cuts that I had long forgotten, I really felt that Dokken probably should have been a lot bigger, if anything based on George’s guitar work alone. He did get a lot of press in the metal and guitar mags back then and deservedly so. It was too bad they broke up in 1988. I think they could have squeezed out one more decent album. By the time Dysfunctional came out in 1995, who cared? I certainly didn’t. What I remember hearing from it sounded very “90s”. Pass. I got to see George a few months ago in Austin with his solo band. Dude can still hang. If you’ve ever liked Dokken and haven’t listened to them in a while, I highly recommend popping in these 2 albums again. You won’t be disappointed.